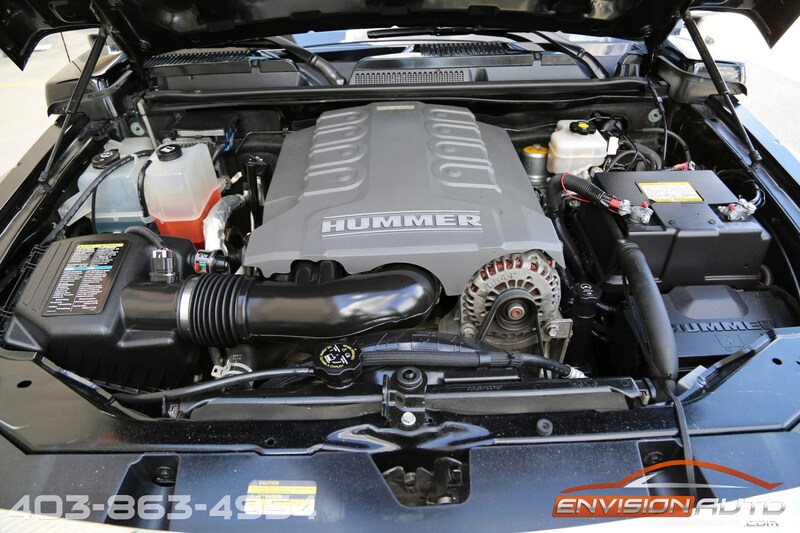 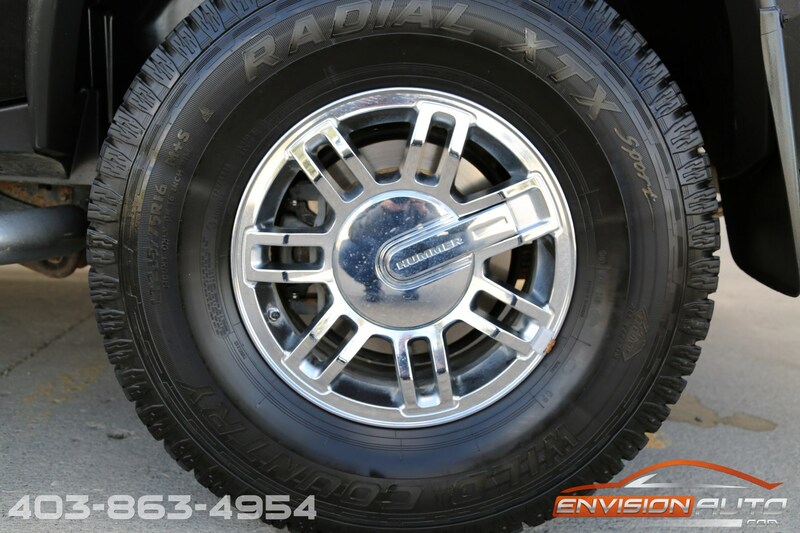 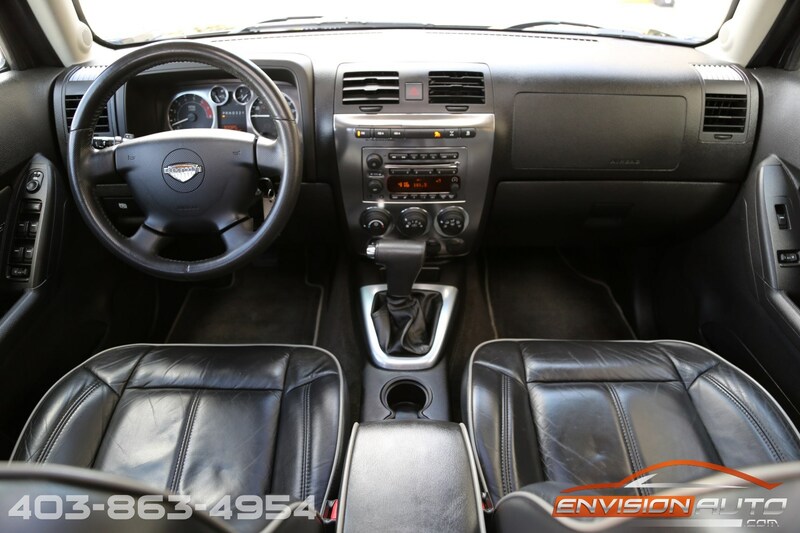 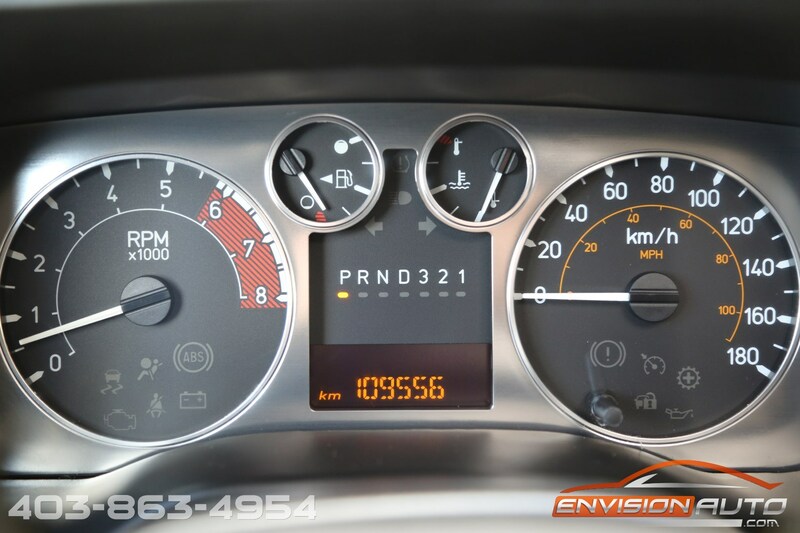 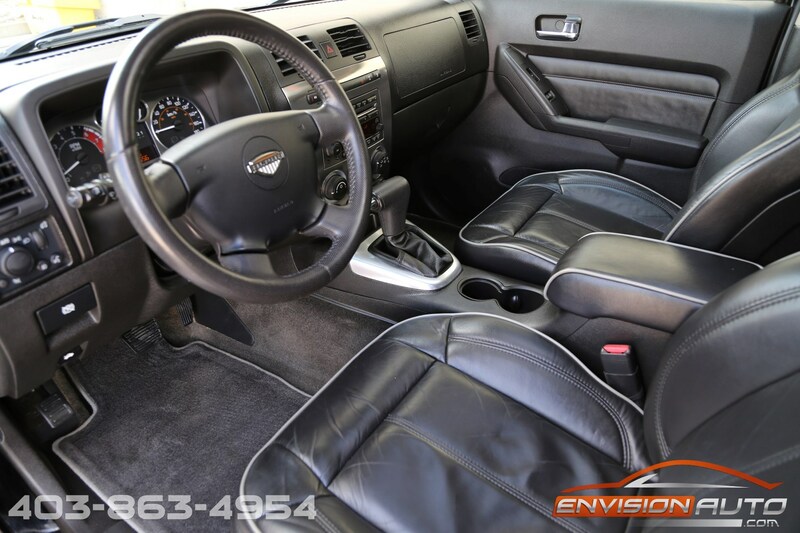 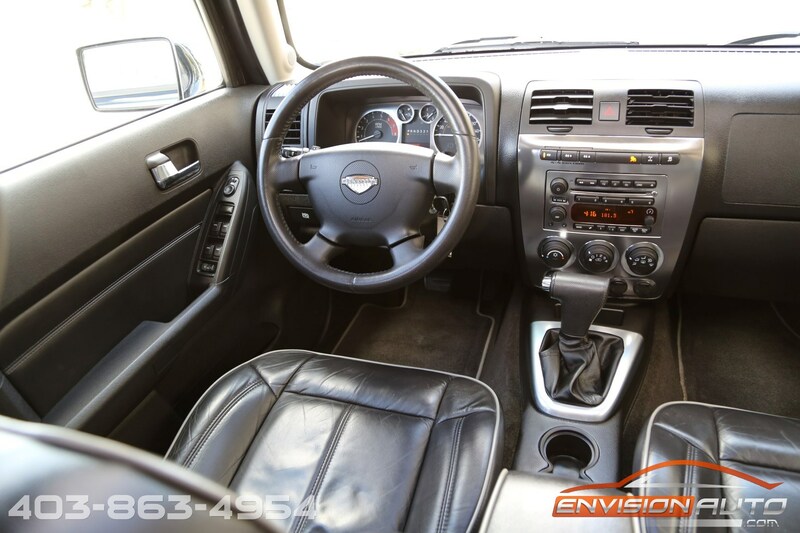 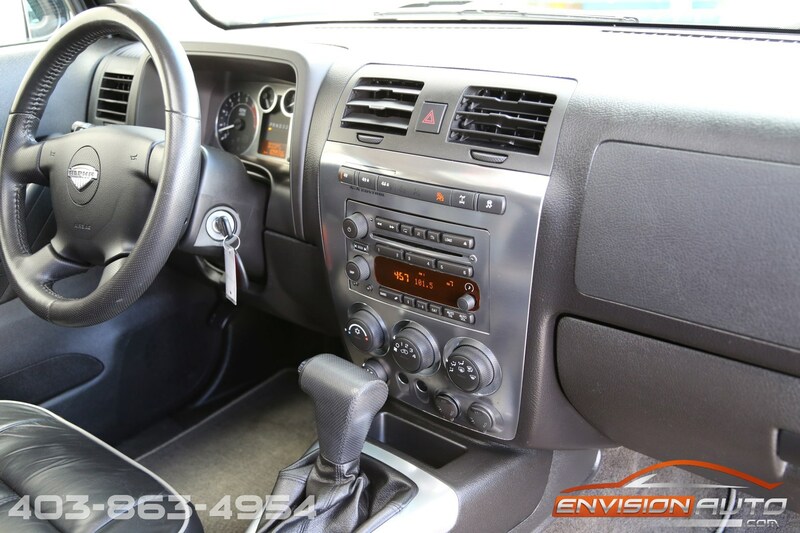 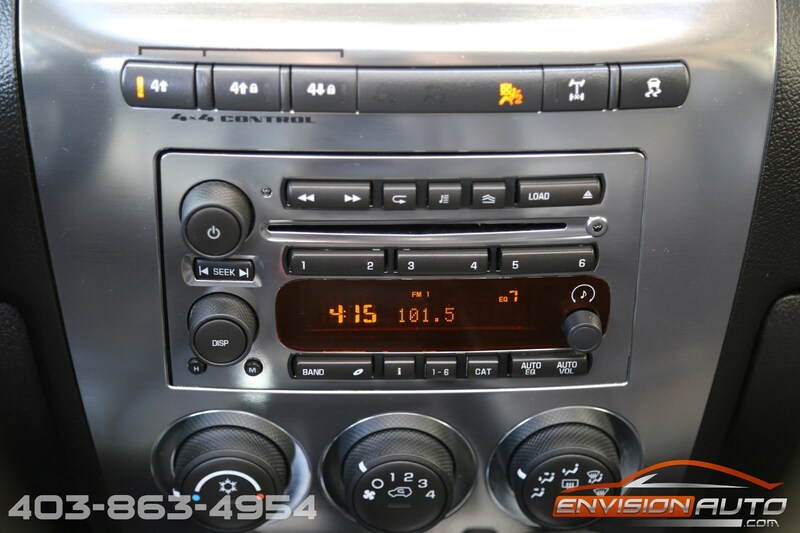 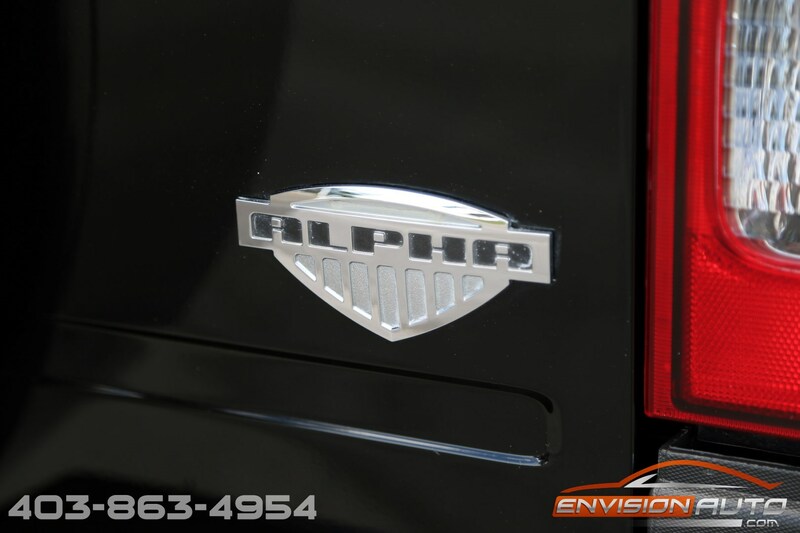 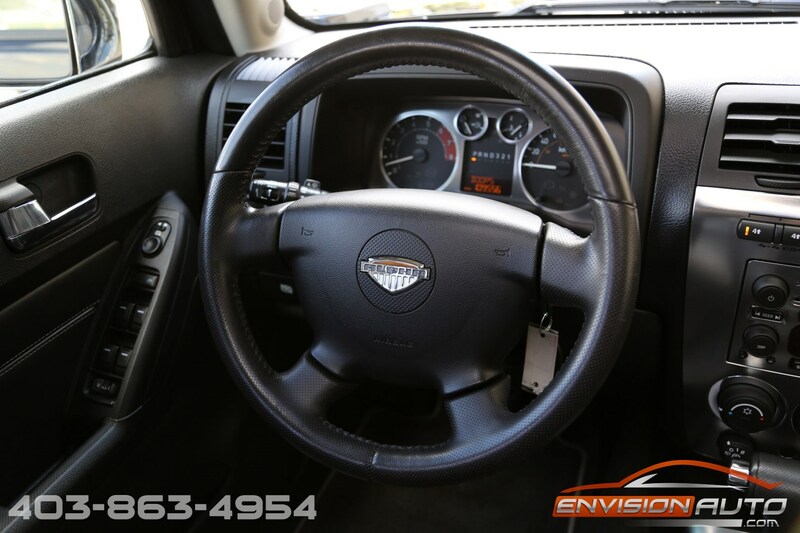 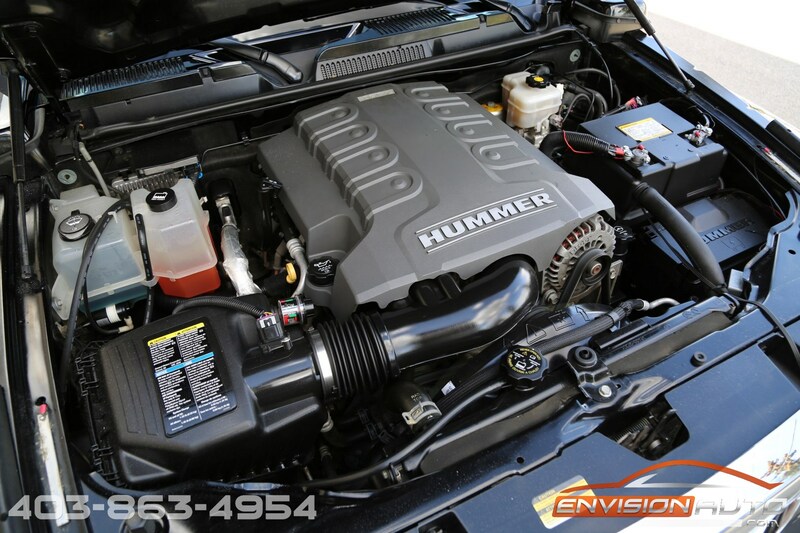 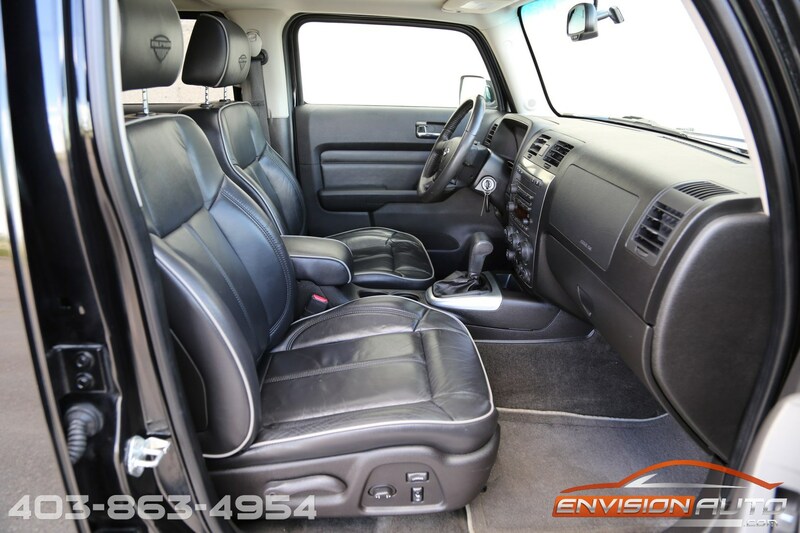 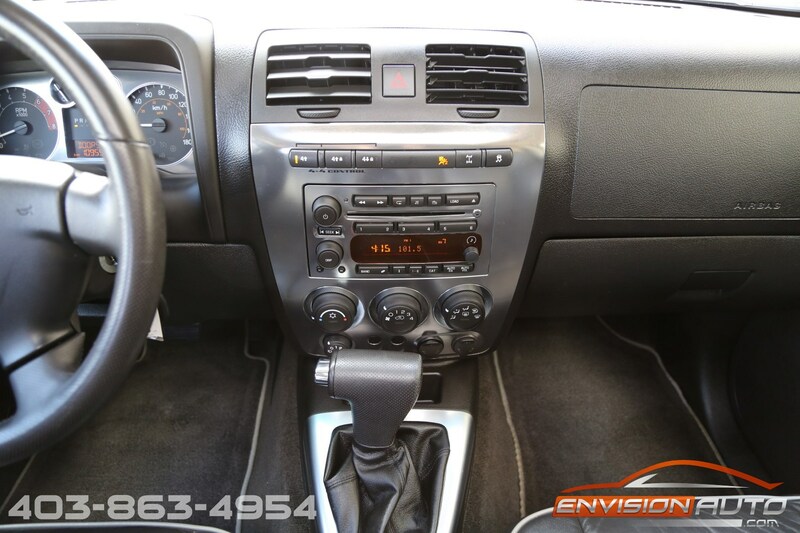 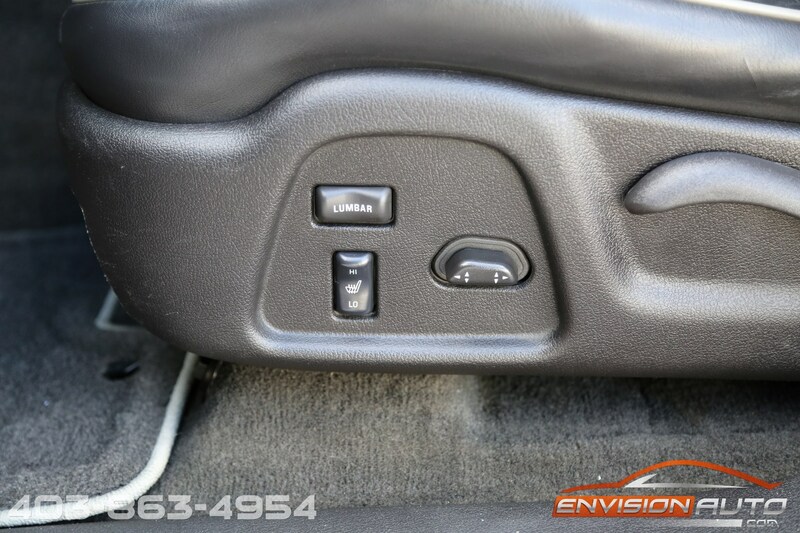 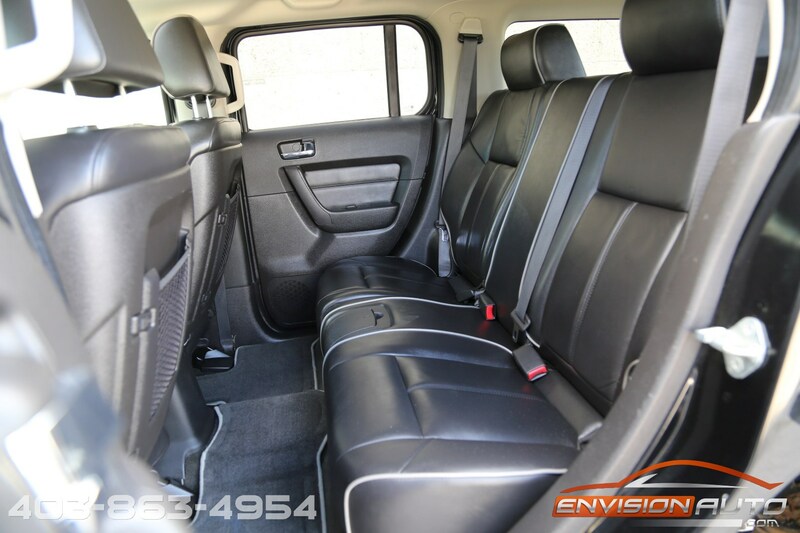 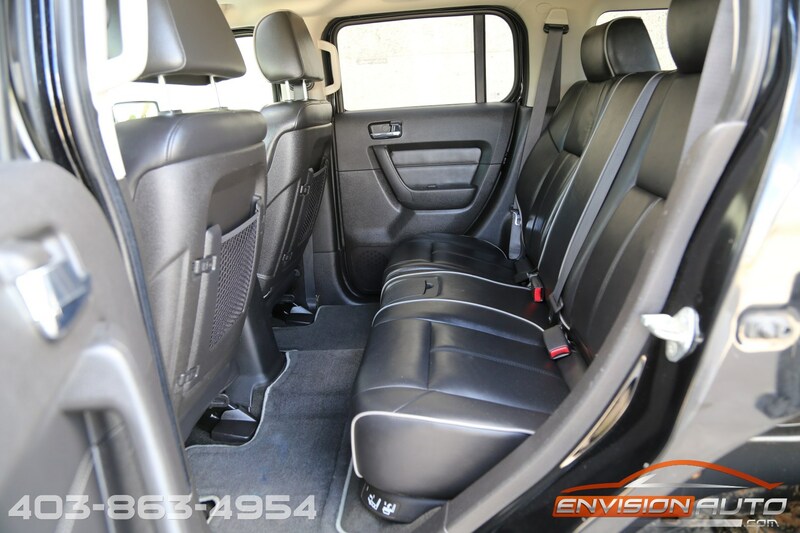 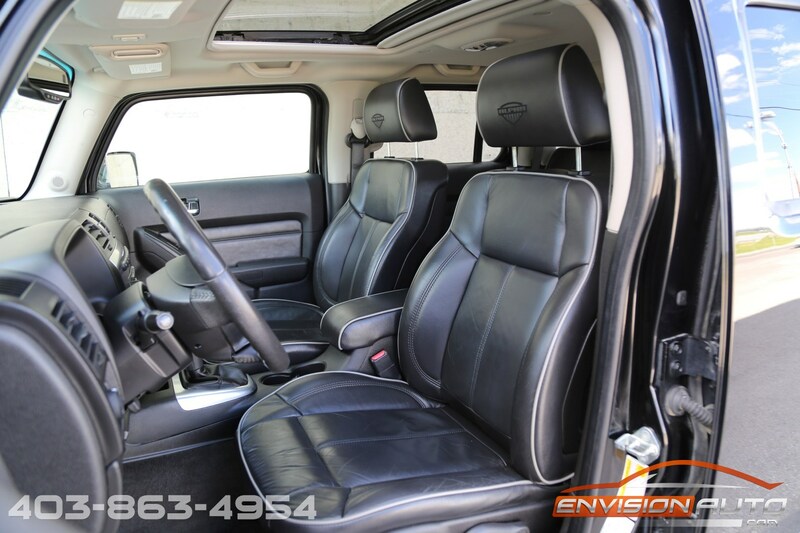 -> Fully loaded with all the right options – – starting off with the new for 2008 5.3L V8 Alpha Engine this truck has great highway passing power and city driving economy! 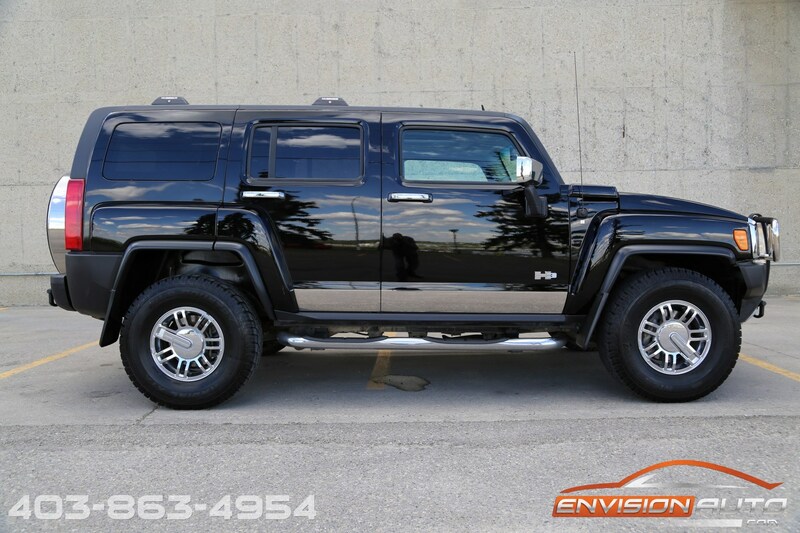 More Details : – ALPHA 5.3L V8 HUMMER H3 – LUXURY PACKAGE – OFFROAD PACKAGE – LOCKING FRONT AND REAR DIFFERENTIALS – HEATED LEATHER SEATS – SUNROOF – CHROME EXTERIOR PACKAGE – ONLY 109,500 KILOMETERS – CLEAN CARPROOF HISTORY REPORT! 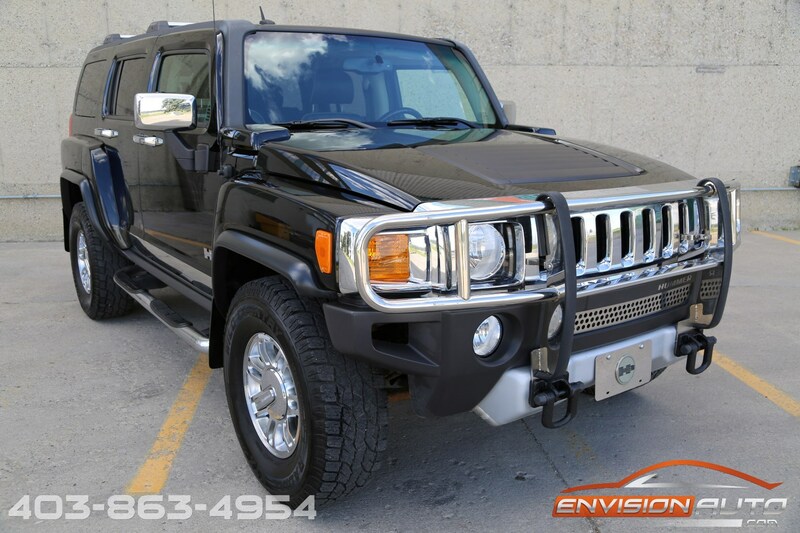 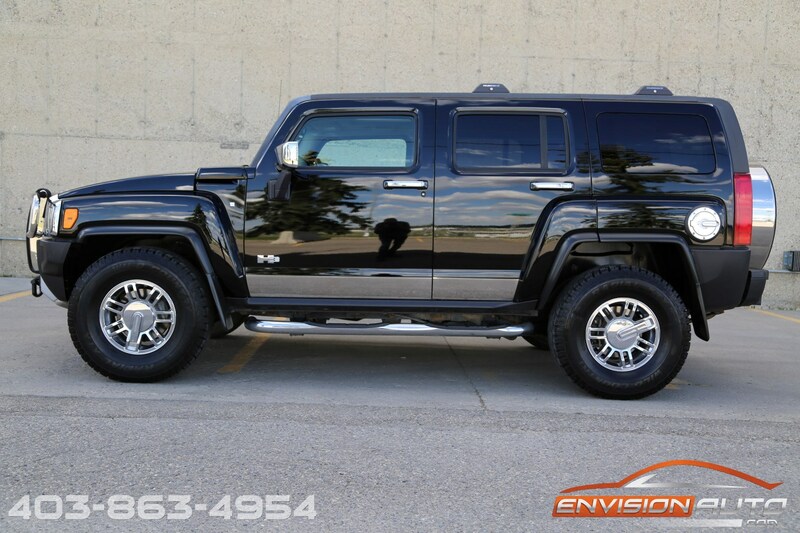 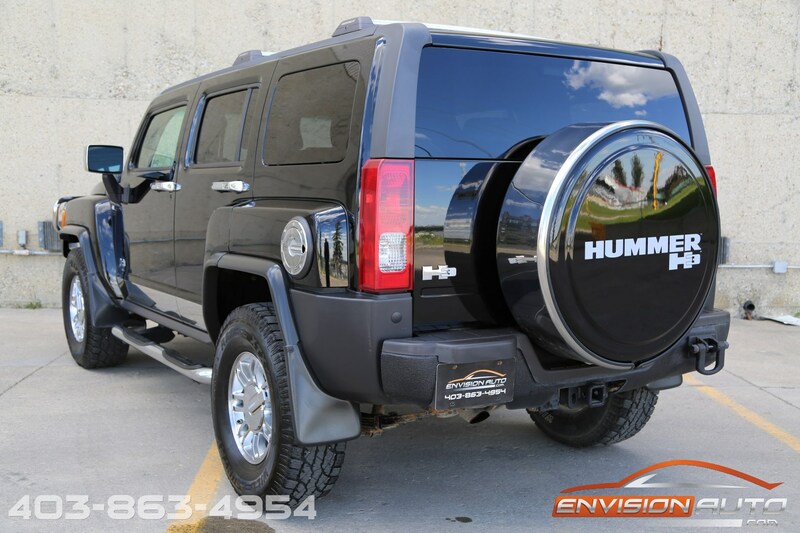 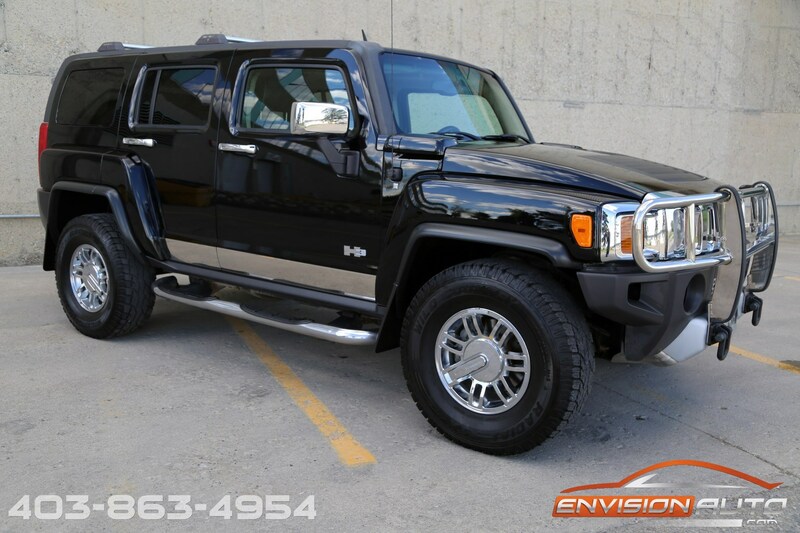 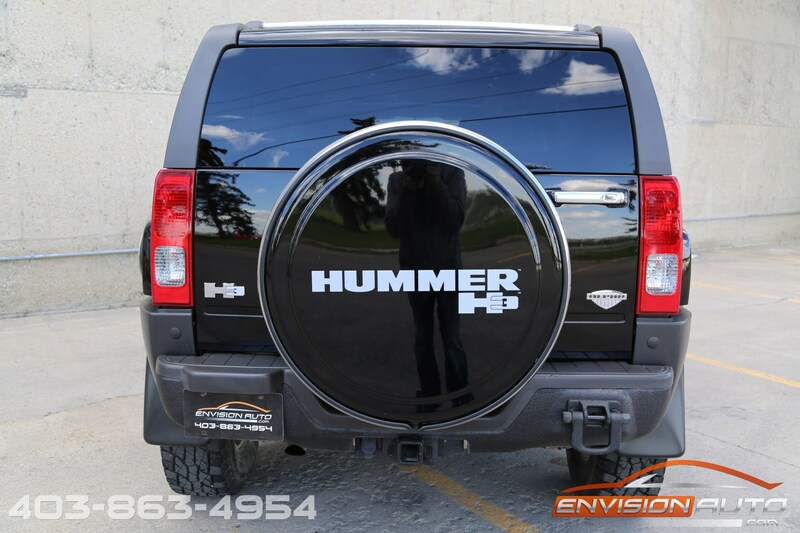 Rare ALPHA Edition 5.3L V8 H3 Hummer SUV with only 109,500 kilometers on this two owner – one BC and one local Calgary, Alberta since sold new, truck. 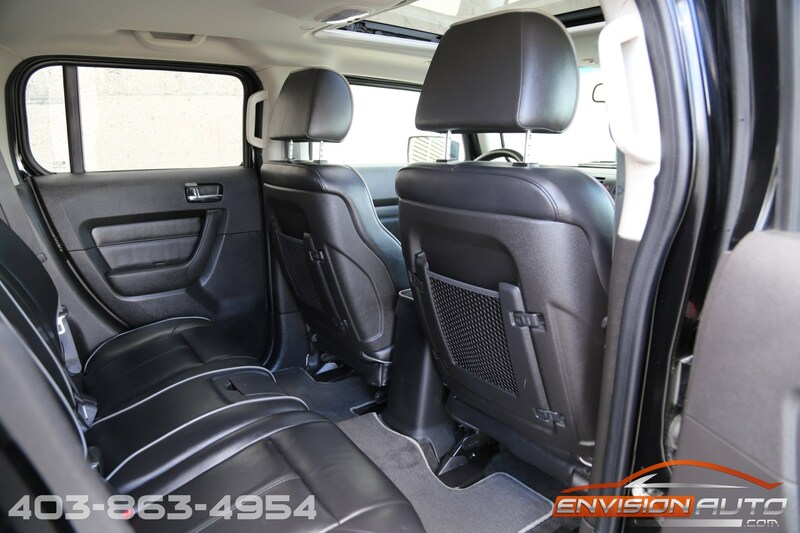 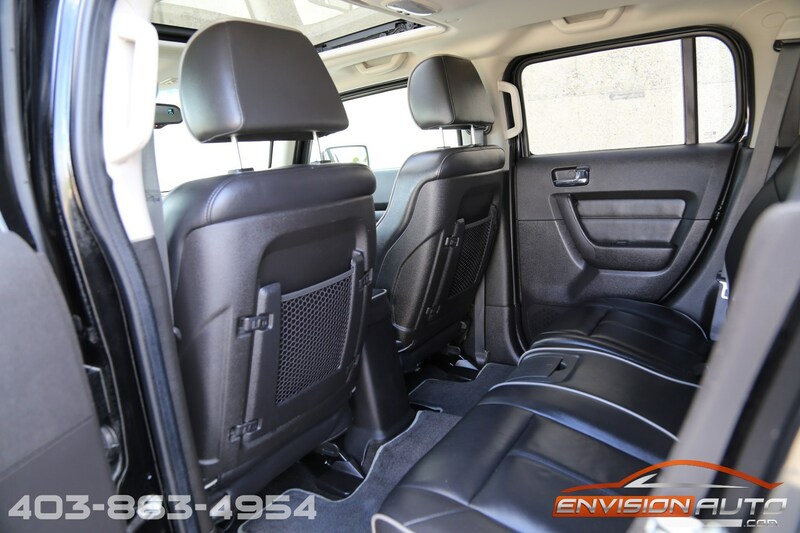 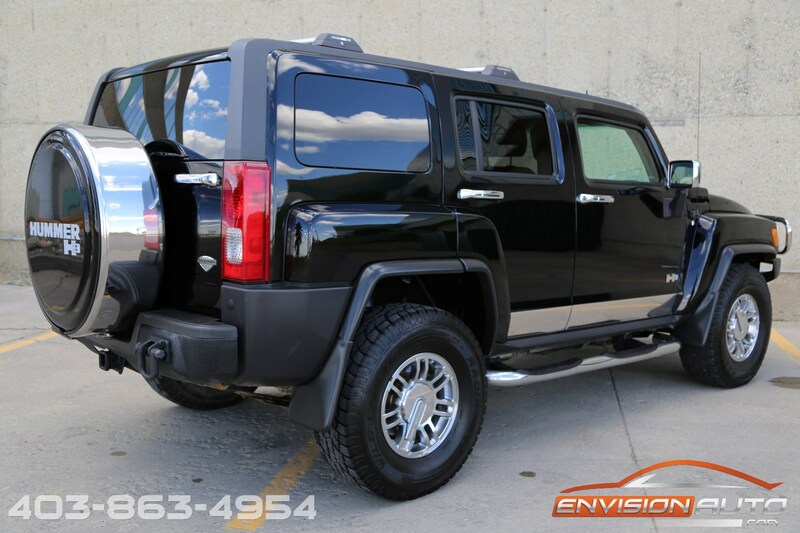 Absolutely loaded up from the factory with BOTH the Offroad Package – Locking Front and Rear Differentials AND Luxury Package – Heated Leather Seats – Power Moonroof. 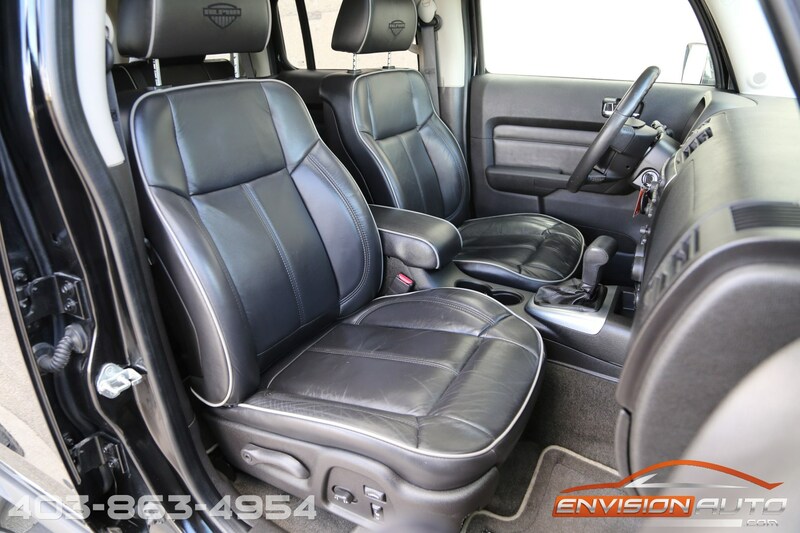 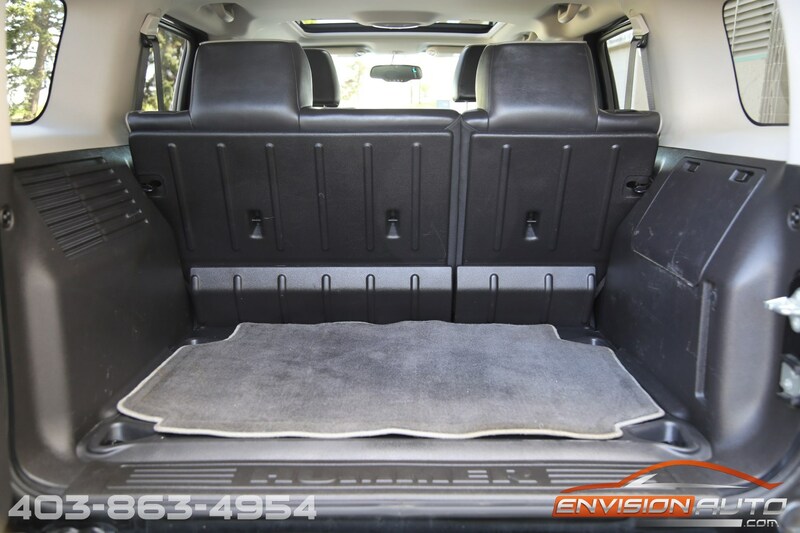 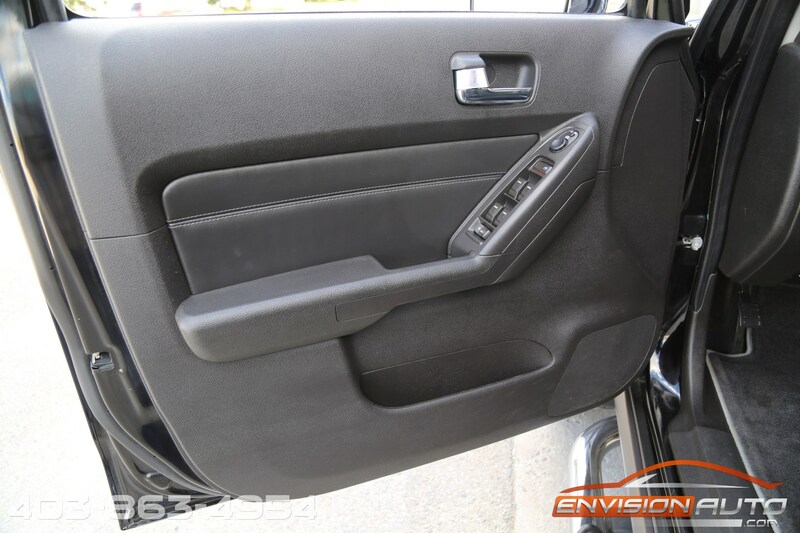 100% Clean CarProof – No Previous Accident History or Insurance Claim History. 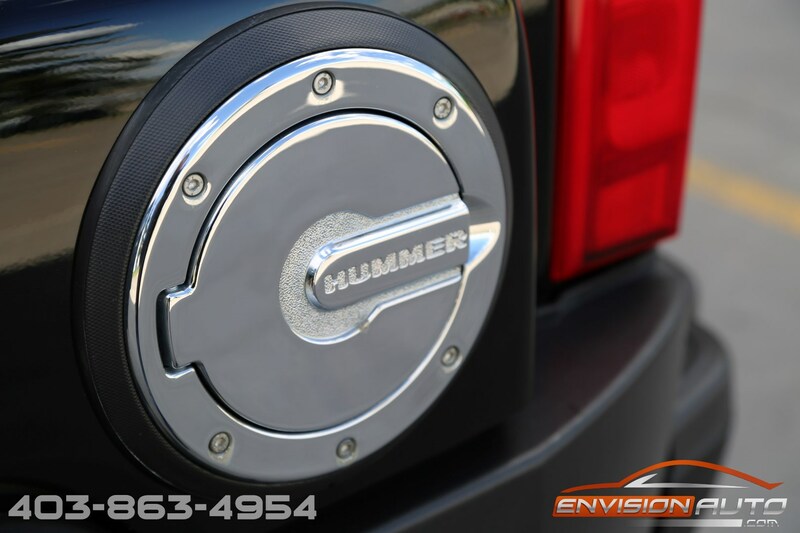 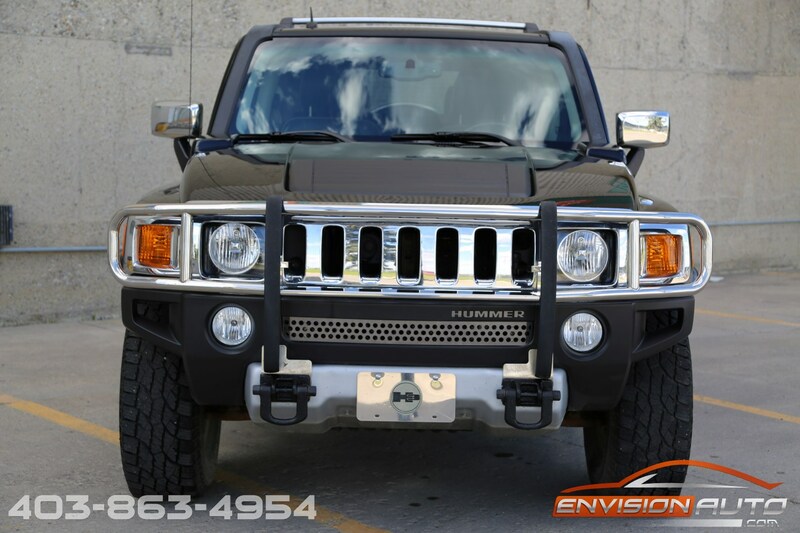 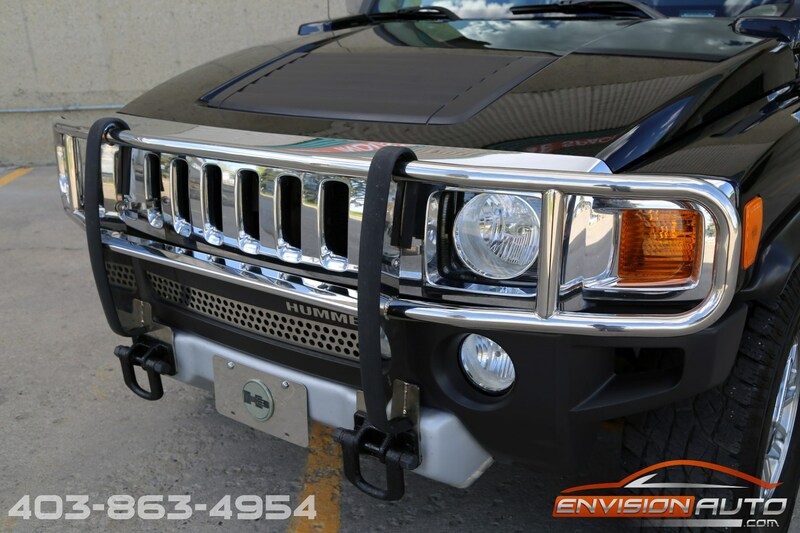 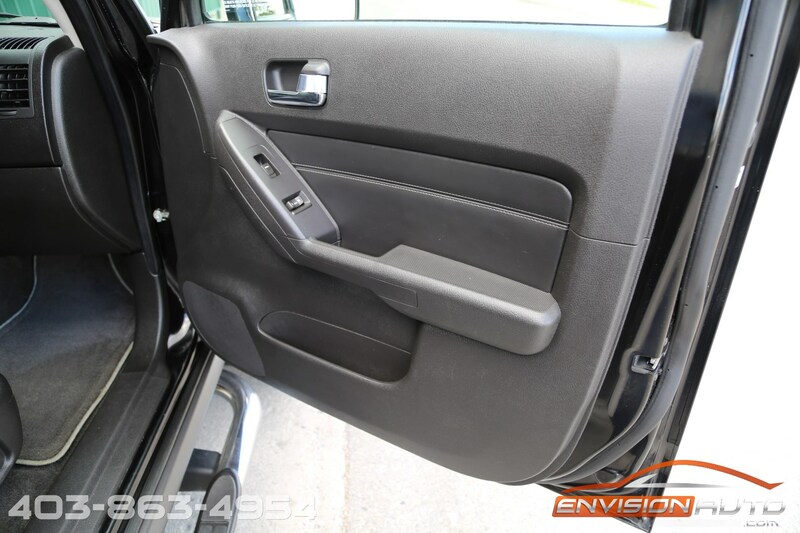 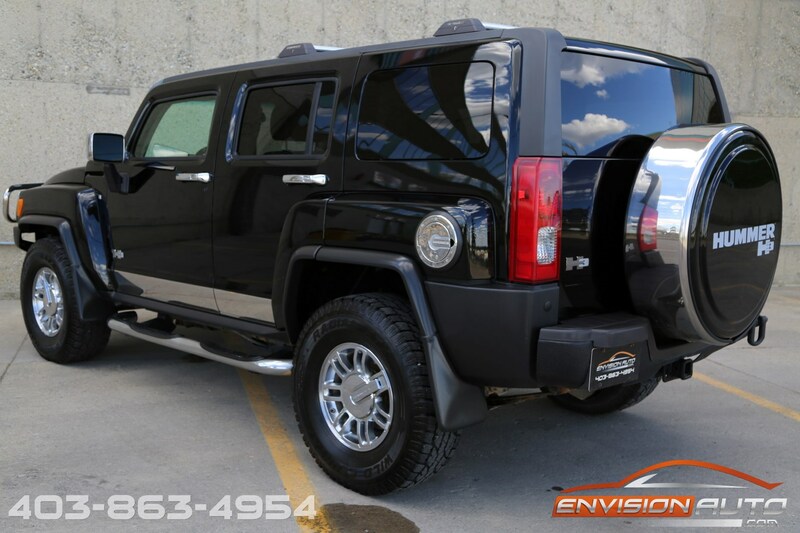 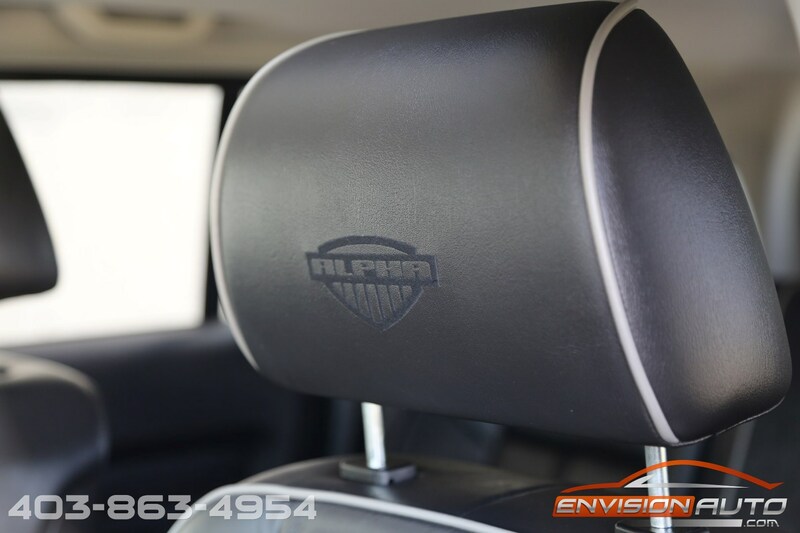 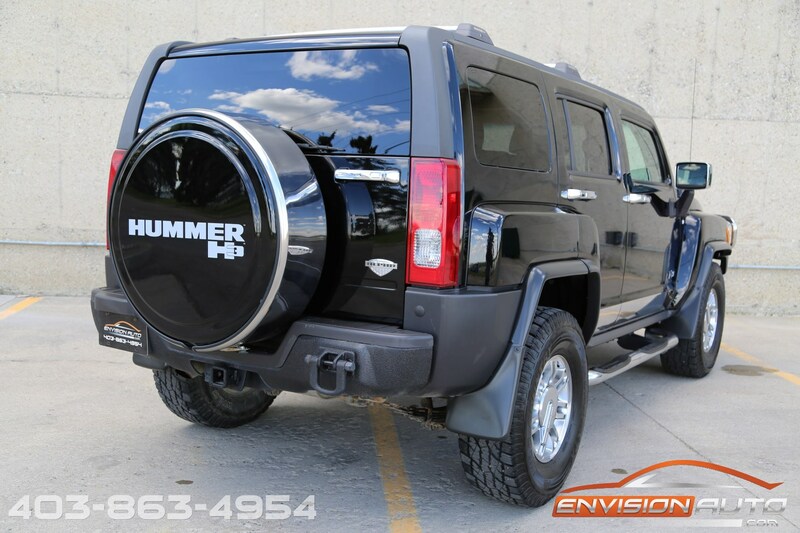 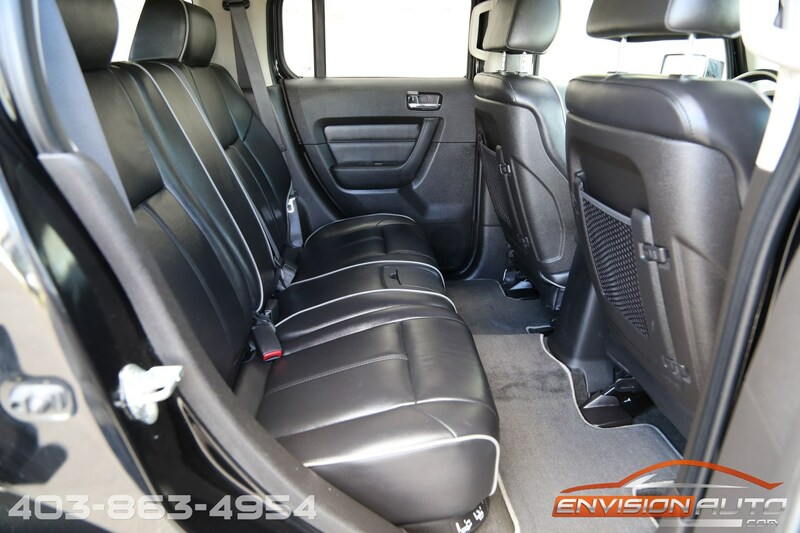 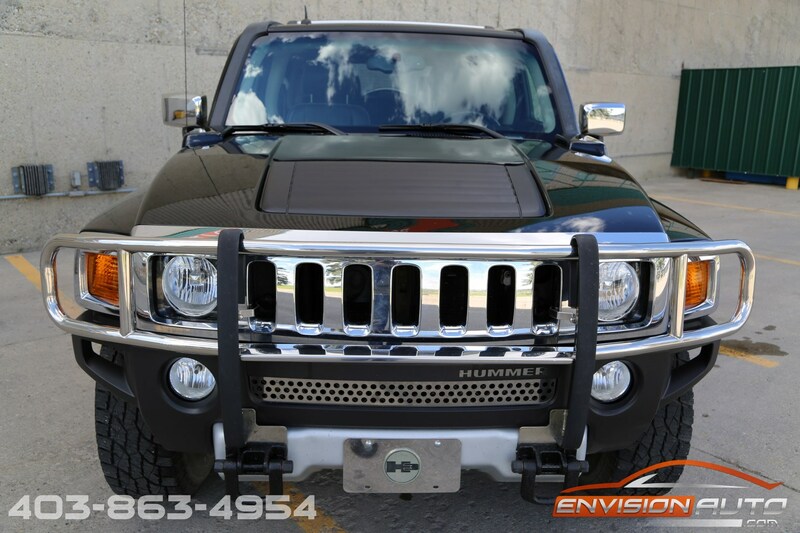 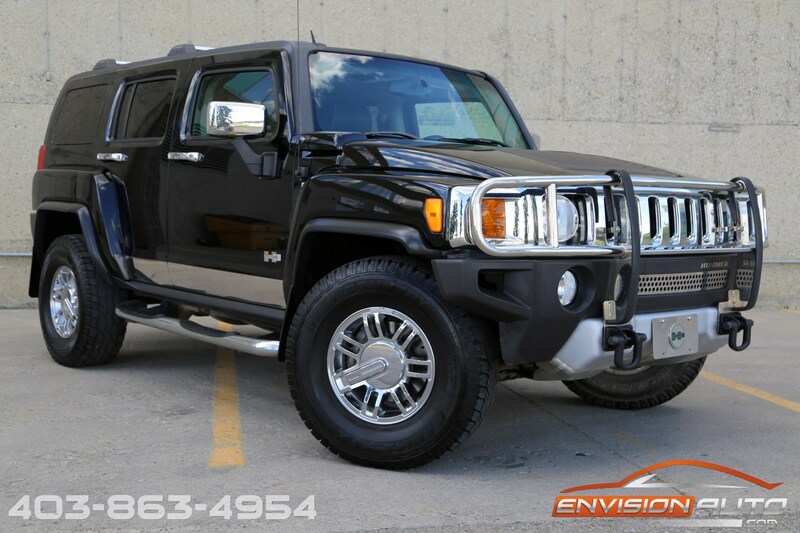 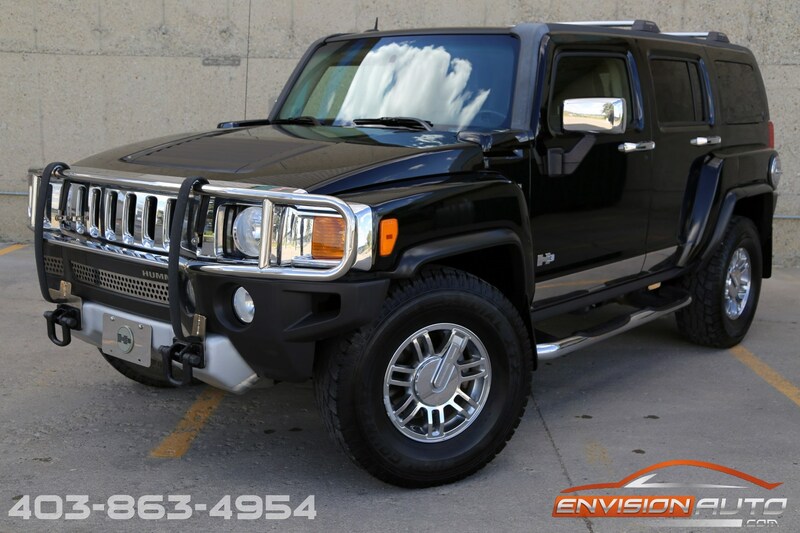 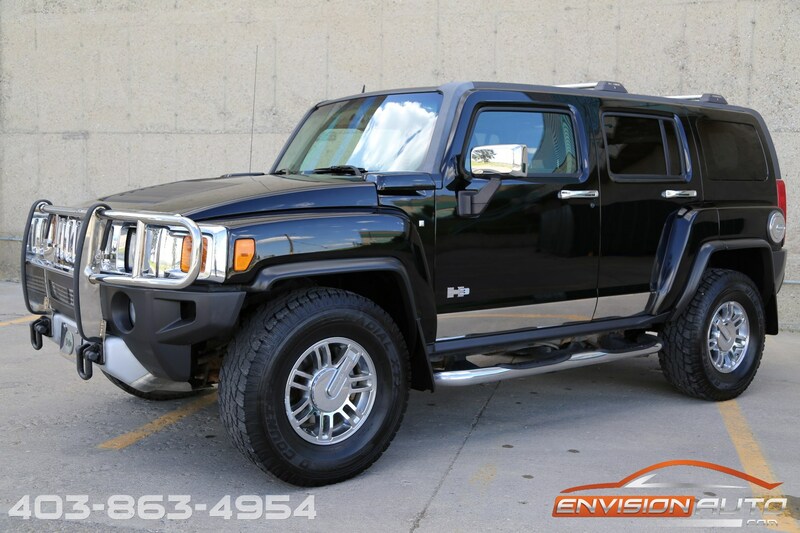 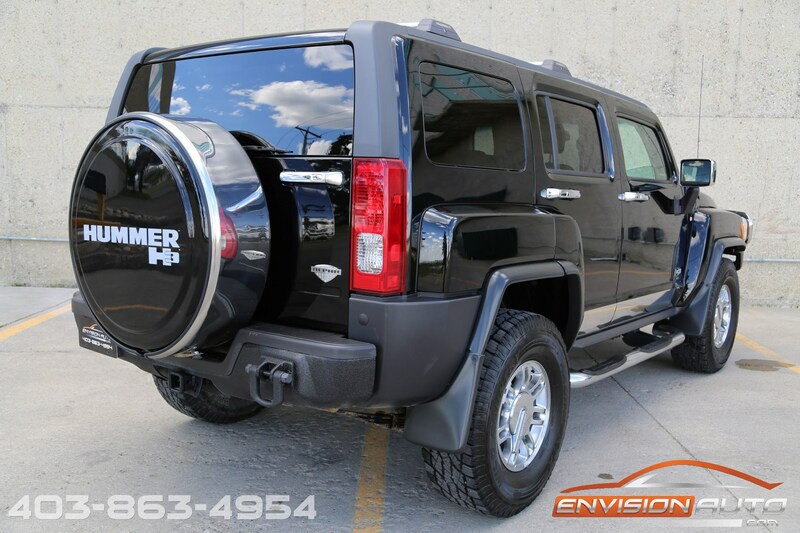 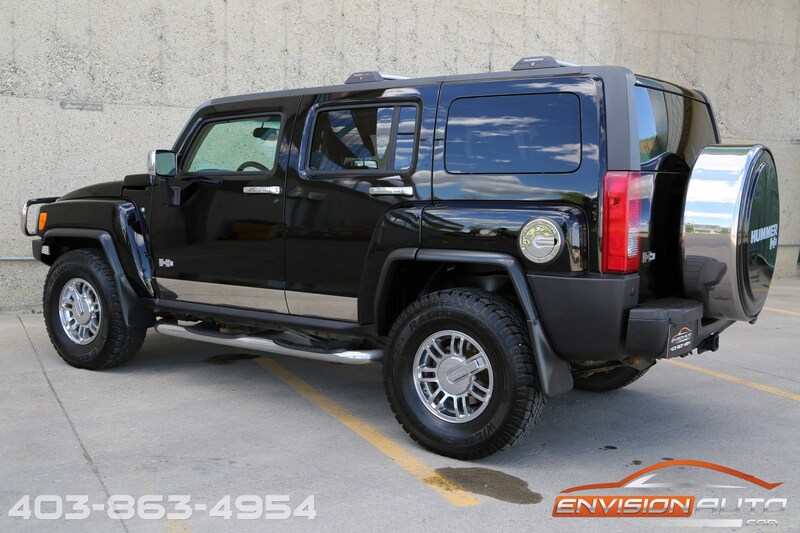 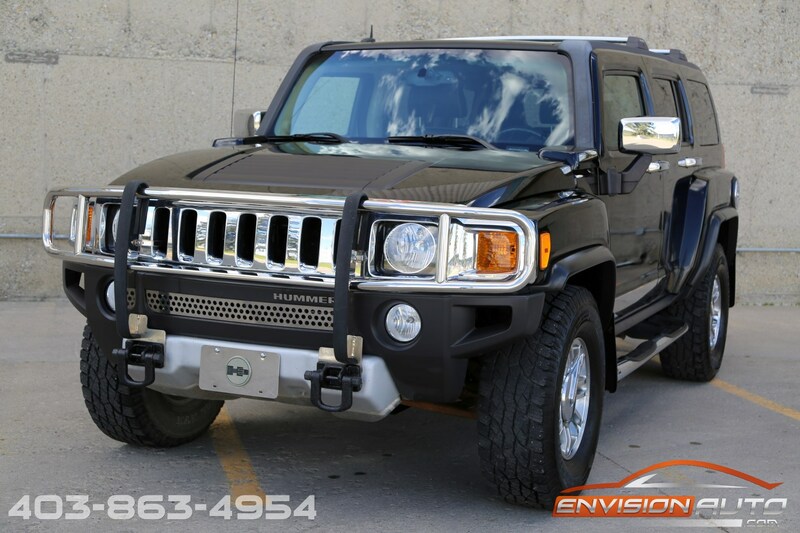 This is one hard to find H3 Hummer – in black exterior paint over black leather interior it comes to us with every factory option available including full leather interior with heated front seats, huge factory power moonroof, Offroad Package with 285-75-R16 tires, and locking front AND rear differentials. 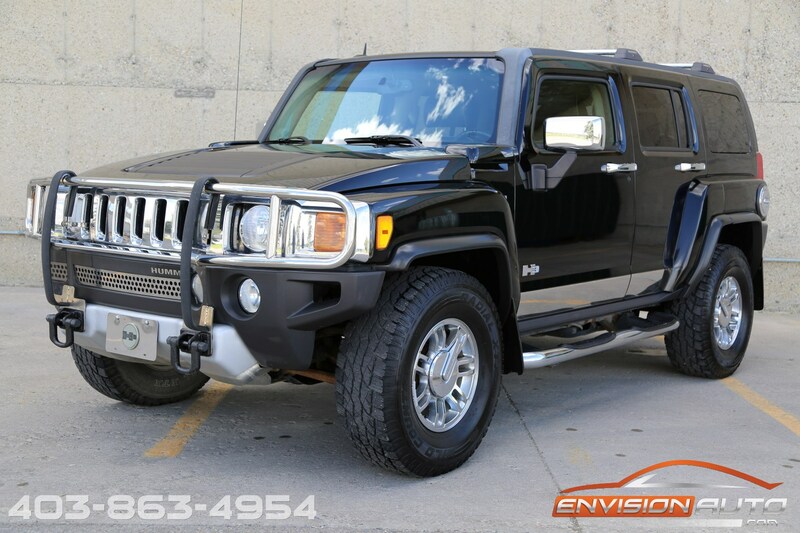 Having completely gone through the service shop, this H3 is fully serviced front to back and needs nothing except a new driver in its soft supple leather seat!